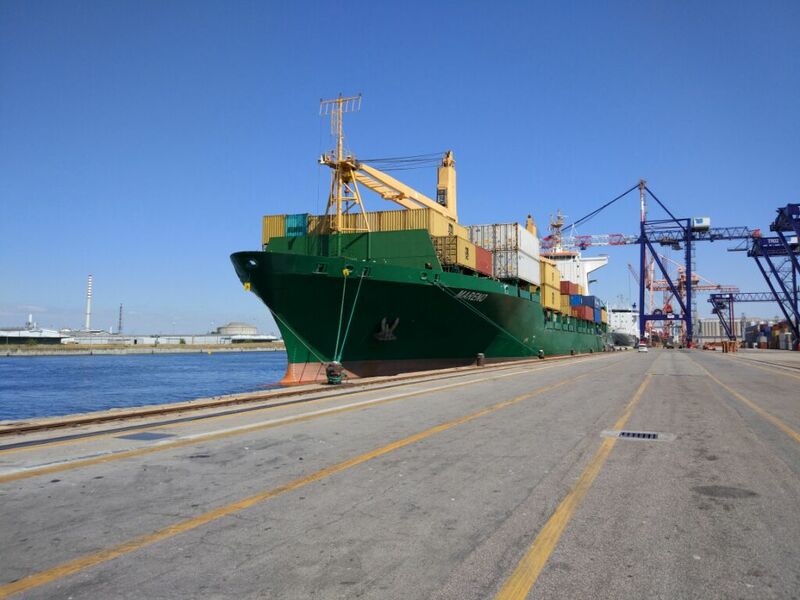 Two container vessels have called Ravenna for the first time this month, Contship Italia Group’s gateway hub in the Adriatic Sea. The m/n Mareno, inaugurated in the year 2000, measures 142m of length, and is currently deployed in the MSC ADRIAKIA service, that provides Ravenna with a weekly connection with the East Mediterranean ports of Izmir, Gemlik, Gebze, Istanbul and Tekirdag. 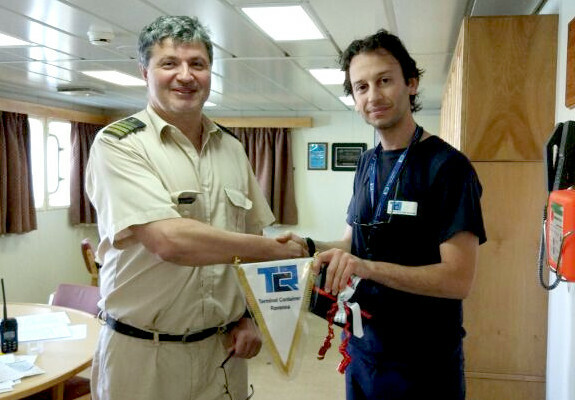 The m/n Analena was deployed in 2006 on the GAX service that connects Ravenna with the main Adriatic ports and a nodal points in Greece such as Thessaloniki and Piraeus. It is 125m long. Operational procedures on the ships took place upon arrival, and they were terminated perfectly on schedule for the ships to set off to the next ports. 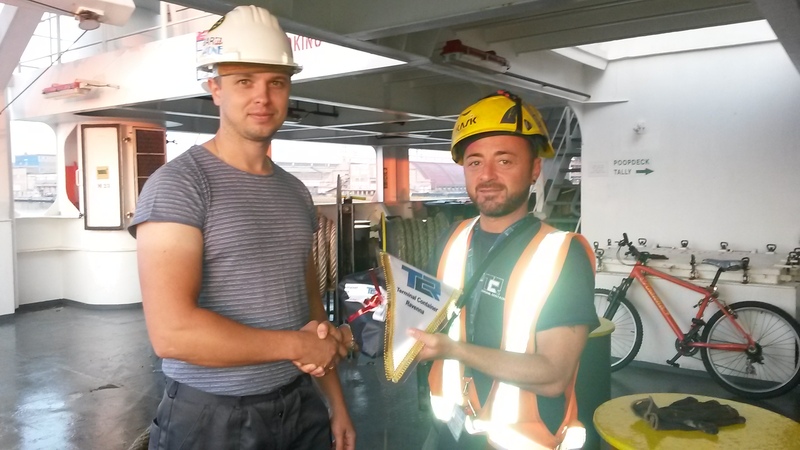 Following Contship Italia Group’s long established tradition, TCR Planners Alessandro Braschi and Dennis Cortesi boarded the ships to meet Captains Marek Juszkiewicz (m/n Mareno) and Igor Kvasha (m/n Analena), to hand them the maiden call commemorative crest.